Mary Alice Beitzel, 89, of Salisbury, PA, died Saturday, December 1, 2018, at In Touch Hospice House, Somerset, PA.
Born July 16, 1929, near Accident, MD, she was the daughter of the late William and Lettie (Jennings) Durst. She was also preceded in death by her husband, Ellis Fay Beitzel; two sons, James Allen Beitzel and Ellis Bradley Beitzel; one grandson, Sean Middleton; one granddaughter, Paige Hetrick; four brothers, Lester, Olen, Robert and Roy Durst. Mrs. Beitzel was a seamstress for Salisbury Sportswear and was a member of the Springs Mennonite Church. 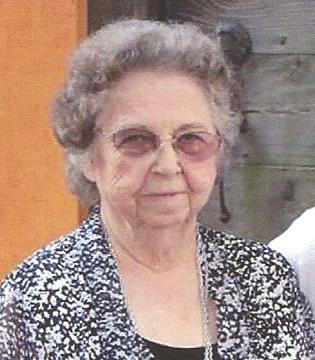 She loved her grandkids and liked to crochet and embroider. She is survived by one son, Jack Rodney (Peggy) Beitzel, Meyersdale, PA; three daughters, Faye Regina (Ron) Keller, Middletown, PA; Patricia Ann (Joe) Deal, Philadelphia, TN; Marla Jean (David) Haines, Salisbury; one sister, Betty (Bob) Moser, Severna Park, MD; 12 grandchildren, 13 great-grandchildren and 4 great-great grandchildren. Friends will be received at Newman Funeral Home, Inc., 9168 Mason-Dixon Hwy., Salisbury, on Monday from 2-4 and 7-9 p.m. Funeral services will be conducted in the Oak Dale Church on Tuesday, December 4, 2018, at 2:30 p.m. with Pastor Joe Byler officiating. Interment will be in the Springs Cemetery.